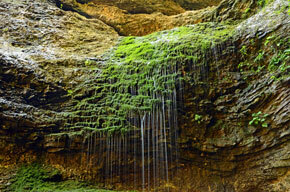 I traveled to the Ozark Mountain Region in June and discovered many images to photograph. I explored the area of Ponca, where I stayed in a secluded cabin and hiked three trials. My first hike was Lost Valley Trail. I hung out at Eden Falls and got some great shots. For the most part I was the only one in the area which made it that more special. My second hike was a trail that took me to Steel Creek. My final hike was Whitaker Point Trail. 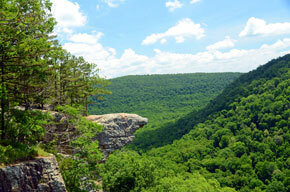 The trail ends at Hawksbill Crag, a rock formation that extends out over the valley. The entire area is beautiful! This entry was posted in Photo Shoots. Thanks for finally talking about >Ozarks <Loved it!